Fast-forward to the present. There’s no denying that, as of 2016, Utah is a stronger athletic program than BYU … at least where it counts in the major sports (FB & MBB). Yes Cougars, admit it, Utah IS ON TOP NOW. They are in a P5 conference and have dominated us on the gridiron and hardwood for quite some time. It’s been SEVEN years since BYU beat Utah in football. SEVEN YEARS! Even the most ardent Cougar fan in the deepest reaches of denial HAS to admit that we are not the “Big Dog” along the Wasatch Front anymore. It’s best that we all just admit this. It wasn’t always that way though. From 1972-1992 BYU absolutely dominated the Utes on the Football field going 19-2 during the “glory years” of Coach Lavell Edwards’ tenure. 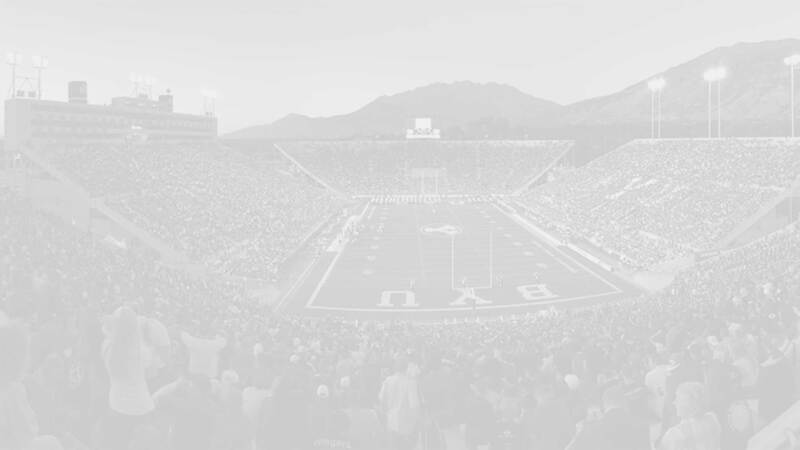 There was no doubt that BYU was “Big Brother” and Utah was “Little Brother” as the accolades accrued during the 80s and 90s culminating with a National Championship and a Heisman Trophy. BYU dominated Utah in every relevant measurable facet of athletics during that time period. Also, during those years, BYU and Utah moved from conference to conference as a “package deal.” Probably not coincidentally, 1972 also happened to be the year that Chris Hill started his Master’s program at Utah and worked as a graduated assistant for the Basketball program. He’s spent decades being affiliated with and cheering for his Utes, who were undoubtedly “Little Brother” for a LONG time. He’s watched BYU with great envy as BYU was the “national brand” that dominated his local team within their own (SLC) media market. But that was then, and this is now. Utah now has the clout, the cash, and the Conference affiliation that BYU envies (and still feel like we deserve). The Utes got an invite to the PAC12 and BYU was left without a suitor (we even left the MWC, partly to appear more attractive and available as an “Independent” to any P5 that may come calling.) The Utes won the lottery, and the Cougars didn’t. The Utes peaked at the right time and didn’t have the baggage of being a non-research religiously-based university that we carry. 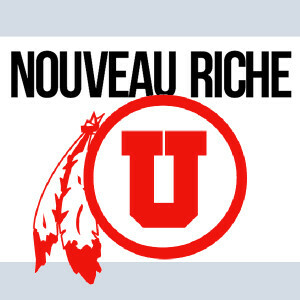 Many Cougar fans had suspected that Utah Athletics had become the “Nouveau Riche” of the P5 world. It started with the canceling of the Football series in 2014-15 (though the “home and home” with Michigan provided them some cover for Utah Athletics apologists). The PAC12 parades and loads of PAC12 signs/bumper stickers fed the suspicions. The vocal part of their fanbase didn’t help their perception either. But Hill’s and Krystkowiak’s latest decision to cancel next year’s contractual Basketball game in Provo removes all doubt as to what Utah’s actual intentions are: to assert their superiority and attempt to ignore the Independent Cougars into irrelevancy. “Player Safety” was the excuse that Hill and Co. used this time. The move was riddled with cynicism and no fair-minded Ute or Cougar (one that understands sports and rivalries at least) can accept that excuse. There’s no doubt that Utah’s real motive and desire is to stop all match-ups against BYU, and possibly limit or eliminate their match-ups with other in-state teams. What would happen if every rivalry was cancelled or went through “cooling off period” for any player altercations? There wouldn’t be many (any?) rivalries left. Most sportswriters list “The Holy War” in the top 10 of college rivalry games. It has been played uninterrupted since 1906 except for WWII in 1944. One simply DOES NOT CANCEL a century-long rivalry because of 1 or 2 punches (especially when punishments have already be doled out and fulfilled.) That reasoning does not even come close to passing the smell test. Rivalries just don’t end that way. Some argue that since Utah is in the PAC12 (and BYU isn’t) that the rivalry is essentially done and gone, that BYU and it’s fans just need to accept this fact and move on. So rivalries cannot survive (let alone “thrive”) without the umbrella of same-conference affiliation? Hmmm … what about Georgia vs Georgia Tech, Florida vs. Florida State, Clemson vs. South Carolina, Louisville vs. Kentucky, Notre Dame vs. Navy, Army vs. Navy, etc … ? Those are just some of the storied rivalries that don’t have the benefit of any conference affiliation, but are played every year. Finally on top, it’s become more and more clear that Dr. Hill and Utah athletics has no idea how to act now that they are there. It takes a while for some programs to learn how not to be “sore winners.” Utah has definitely not moved through this phase very gracefully. They have no idea how to “win with class” yet. The are so insecure about the possibility of actually losing a game that they just make up an excuse to cancel it, and even willingly pay out $80,000. They are obviously worried that they will be taken down off their self-created and self-sustained pedestal. Decision after decision and a compilation of comments from Hill leave us no other room for alternative explanations of their behavior. It’s been so transparently cynical that even the local sports media (many of them who are, or have acted like, Utah “fan boys” for many years) have called Utah’s bluff and are asking to see their cards. And we don’t even need to mention the national sports media’s reaction and even the unnecessary, though telling, vocalization of Utah’s politicians on the matter. The Utes sure don’t seem to have many friends or supporters on this one, and with good reason. No one likes to defend a cowardly bully … and that’s what Utah Athletics has become. A “cooling off period” is brought up as a reason to put the rivalry into a hiatus. Things are too hot and too emotional, Hill argues, so let’s take a break. Such a “time out” punishment may work on toddlers, but is it the right thing to do with a storied rivalry? Some would argue that a “cooling off period” actually has the opposite effect, and I happen to be one of them. Yearly games provide a focal point of emotion and motivation for coachers, players, and fans. The frequent games provide at least an opportunity to “let off a little steam” periodically instead of letting the whole boiler reach a tenuous point of total explosion. Parity in game outcomes helps do this somewhat naturally. It gets more difficult when one side is dominating, but it’s still doable. Putting things on hold is the worst option. Did the recent “cooling off period” work to diffuse the football and/or overall BYU/Utah rivalry? That was a main reason cited by Hill for the football hiatus. It sure didn’t take long for accusations to fly about “dirty play” and “I haven’t lost to those ba_____s” and “It’s Utah’s world, and BYU’s just living in it” now did it? Did it prevent Koroma from his expected and predictable personal foul? Did it prevent a Ute player from getting ejected after his 2nd personal foul where he took a cheap shot at our punter? I think the “cooling off period” made things worse … and I think the evidence bears this out. This current two week period will probably go down as an important “inflection point” in the history of BYU AND Utah Athletics. Between BYU’s new coaching staff, the cancelled BB game, and the hullabaloo over possible Big12 expansion there is a LOT of potential momentum building behind BYU. If the Cougs get P5 status there could be a major “tipping of the scales” back towards BYU’s favor. Hill knows this and is desperately lashing out and trying to undercut this potentiality. Rivalries are often similar to pendulum swings. There are ups and downs, back and forth, and flare-ups and cool-downs in emotions. Momentum is important in sports … and BYU might just come out of this inflection point with massive momentum on our side. Here’s to hoping that the Big12 brings us on board and that the pendulum starts swinging back the other way. Someone’s got to put Hill, Koward, and the other dirty Utes back in their place … and who better than their true rival?!?! ?